Late this month, Asean and Chinese officials will meet in Naypyidaw, Myanmar to continue discussions on the Code of Conduct (CoC) for the South China Sea. As the CoC process (slowly) advances, however, at sea tensions continue to bubble between China and the Philippines, and China and the United States. The Philippines currently has two bones of contention with China. The first concerns the opening of a maritime rescue center on Fiery Cross Reef, one of China’s seven artificial islands in the Spratlys. The rescue centre strengthens China’s narrative that the military facilities on its manmade islands help provide safety at sea. A spokesman for President Rodrigo Duterte said perhaps the Philippines should thank China for opening the center. However, Philippine Foreign Secretary Teodoro Locsin and Defence Secretary Delfin Lorenzana both urged the government to protest the move as Fiery Cross Reef is claimed by the Philippines. The incident once again exposed the rifts within the Duterte administration on how Manila should handle its dispute with Beijing. Since taking office in 2016, Mr Duterte has downplayed the maritime spat with China, while the country’s national security establishment has emphasized the importance of asserting the Philippines’ sovereignty claims in the disputed archipelago. Those divisions are likely to persist. The second issue concerns Chinese activities at Philippine-occupied Pagasa Island in the Spratlys. In mid-2018, the Philippines announced that it would upgrade the runway and other facilities on Pagasa. China objected, and when work started on a beaching ramp on Pagasa to facilitate the delivery of construction materials in early December, China dispatched warships, coast guard cutters and dozens of fishing vessels to intimidate Philippine supply ships. According to the Asia Maritime Transparency Initiative in Washington D.C, by mid-December, China had sent 95 vessels to Pagasa, though this number had fallen to 42 by January. Mr Lorenzana has pledged to persevere with the construction work despite Chinese attempts at coercion. Meanwhile, Beijing continues to object to the United States’ freedom of navigation operations (FONOPs) in the South China Sea. 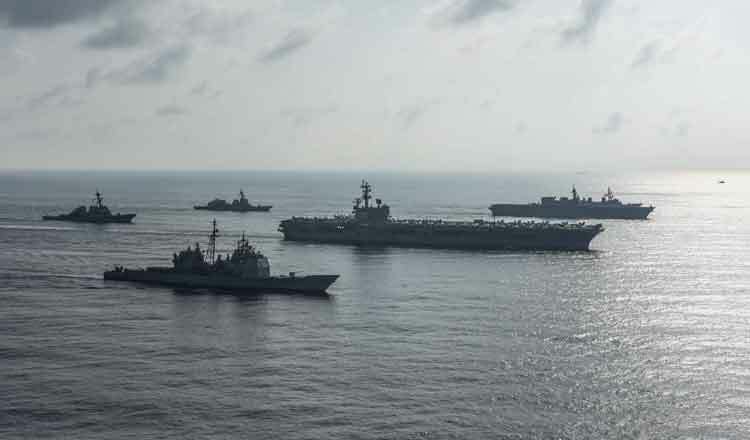 On February 10, the US Navy conducted its 11th publicized FONOP in the South China Sea since President Trump took office (only four FONOPs took place under President Obama) and the second of 2019. Two US destroyers, the USS Spruance and USS Preble, sailed within 12 nautical miles of Chinese-occupied Mischief Reef as well as Philippine-occupied Second Thomas Shoal. It was the fourth time the US Navy had conducted a FONOP at Mischief Reef, but the first time it had conducted one at Second Thomas Shoal. 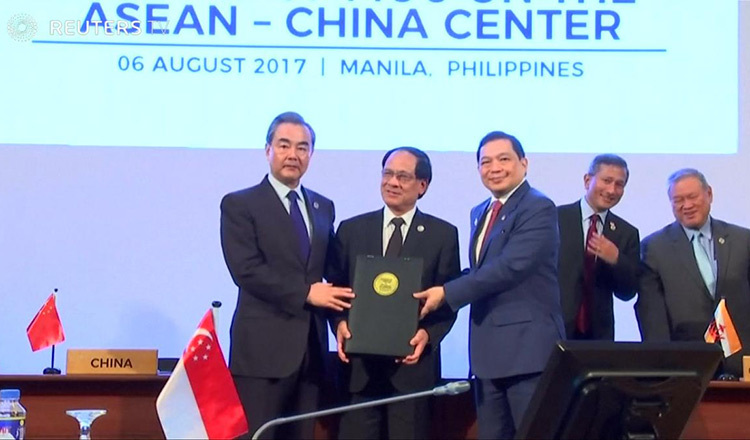 By conducting a FONOP at both a Chinese-controlled and a Philippine-controlled reef, the US can claim to be even-handed in the dispute. As usual, however, China accused the US of violating its sovereignty and international law, and undermining regional peace and stability. Two days later, the Commander of US Indo-Pacific Command, Admiral Philip Davidson, told the US Senate that the navy would continue its FONOP missions in the South China Sea and that he welcomed the presence of warships from other countries including the UK, France, Japan, Australia, Canada and New Zealand. The UK in particular has stepped up its activities in the South China Sea. In 2018, three Royal Navy warships exercised freedom of navigation rights in the South China Sea, including what may have been a US-style FONOP in the Paracel Islands in August. In mid-January 2019, the US and UK navies conducted an exercise in the South China Sea for the first time ever. And the day after the Spruance/Preble FONOP, British Defence Secretary Gavin Williamson announced that the maiden operational voyage of the Royal Navy’s newest aircraft carrier, HMS Queen Elizabeth, would take place in the Asia-Pacific in 2021, and that the ship would embark both UK and US F-35 fighter jets. Beijing does not welcome foreign military activities in the South China Sea, and a greater British naval presence could scupper a proposed free trade deal between the UK and China after Britain leaves the European Union. Post-Brexit, London may face some hard choices between its desire to uphold international norms and gaining greater access to the world’s second largest economy.